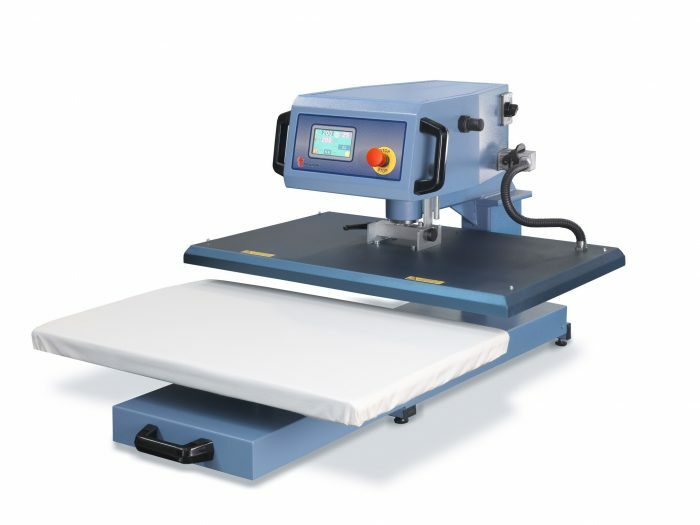 Pneumatic heat press with draw system. Semi automatic press with strong pressure. Electronic and digital touch screen with visual control of temperature,pressure and time with advice of eventual errors.Exchangeable under plate.